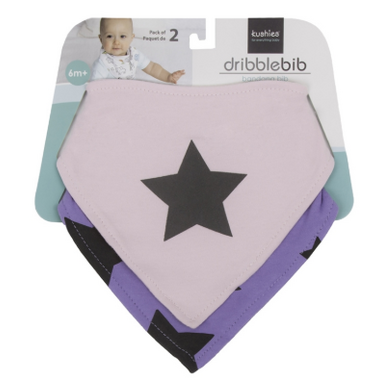 Kushies Bandana Bib 2-Pack will have your baby will look adorable in this bandana drool bib. 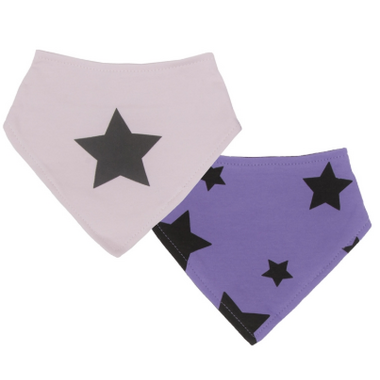 Made of 95/5 cotton/lycra, it fits perfectly around baby's neck and conveniently fastens with a hook and loop closure. The trendy prints will complete your baby's outfits and the soft fabric will keep your baby happy!